Im sure i submitted this car in various colours a few weeks ago. 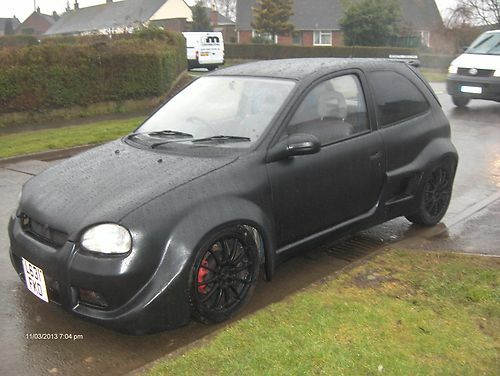 Well if im right its back now in full matt black. Thinking he has it in full vinyl rap. but low and behold with a tin of Halfords paint its still a big pile of crap. SS says: Aero kit to go with his massive 1 litre engine. bigcumload says: Typical council estate POS owned by some smelly turd with no money. These cunts should be put down at birth...through the meat grinder..